Well, we made it into week two. This explains for my lack of activity on here. 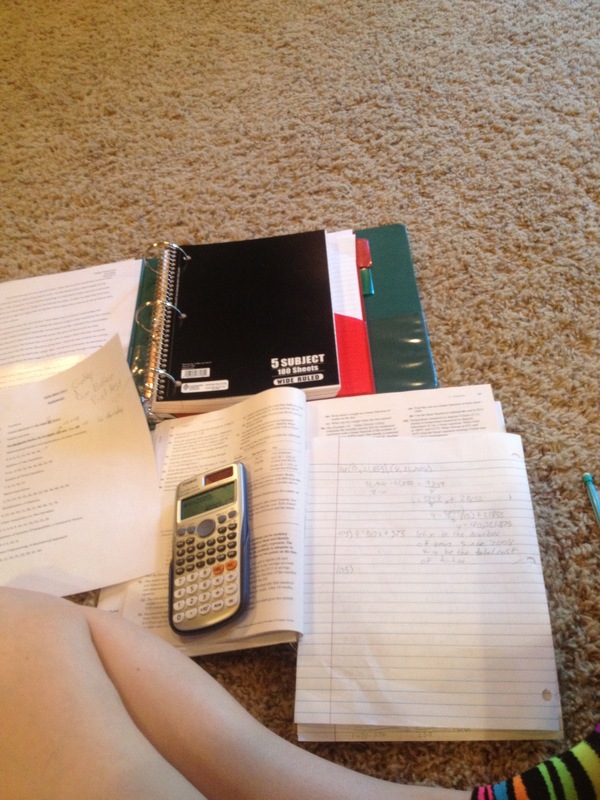 All this homework is crazy! It’s what I expect though. I’m excited about our online class. It looks like it will be pretty easy. My last one was hard and I could never say caught up. This one looks like she’ll have us be doing the same schedule. So far it’s just writing small papers. As of right now, I’m working on math. He looks like he will be a good teacher, a better teacher than we have had before. The last two we have had have not taught us anything. This guy is Indian and tries to make these jokes. He really is sweet. He is also a ping pong champion. Anyway, here’s what the college life looks life! This entry was tagged College life, college student, homework, math. Bookmark the permalink.